M-Pesa is Vodafone’s digital wallet app that offers users to make prepaid and postpaid recharges along with money transfer services. Vodafone M-Pesa offers withdrawals at over 1,20,000 outlets across India. Vodafone has partnered with Ridlr App in Mumbai to offer travelers easy options for recharging their monthly BEST bus passes and buying daily tickets. Using M-Pesa, users can pay for a BEST bus ticket or recharge their bus passes in a cashless way. Customers can access M-Pesa either using a smart phone by downloading the M-Pesa App or by dialing a USSD code (*400#) from any phone, including a feature phone. Vodafone claims that M-Pesa has over 26 lakh users in Mumbai and over 5000 cash-in points where the M-Pesa wallets can be loaded. The M-Pesa wallet also features an option to transfer money to anyone, which the receiver can withdraw at any M-Pesa outlet by showing the received SMS and a valid ID proof. Vodafone M-Pesa has partnered with Ridlr App in Mumbai, offering residents a simple, easy-to- use option to purchase BEST bus tickets. Vodafone M-Pesa offers customers a cashless, secure platform for purchasing their daily bus tickets and monthly bus pass. Home to one of India’s most efficient public transport systems, lakhs of Mumbaikars rely on BEST bus service each day to traverse distances as well as to access a reliable and pocket-friendly mode of transport in Mumbai. 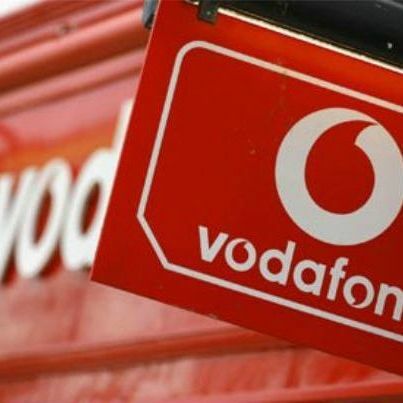 As Mumbai’s most preferred Mobile network, Vodafone has introduced this new service through its mobile wallet and payment service, Vodafone M-Pesa. Inviting Mumbaikars to choose the easy to pay option for the purchase of BEST bus tickets, Pushpinder Singh Gujral, Business Head – Mumbai, Vodafone India said “In Mumbai, BEST Bus Service delivers a huge benefit to the residents by providing a safe and reliable transportation service across the length and breadth of the city. Through this initiative, Vodafone M-Pesa shall help facilitate cashless living and support the Government’s efforts towards Digital India programme. Vodafone is happy to facilitate the purchase of BEST bus tickets and monthly pass through M-Pesa. We currently have over 26 lakh M-Pesa users in Mumbai and one of the widest network for customers to load their wallet, with over 5000 cash in points. This festive season, no more parking worries and finding the exact change for commuters, travel with BEST and purchase your ticket with Vodafone M-Pesa”. Customers can access M-Pesa on either a smart phone by downloading the M-Pesa App or by dialing a USSD short-code (*400#) from any phone including any feature phone. Serving the needs of the unbanked and underbanked customers, Vodafone M-Pesa is a safe, fast and convenient way of bringing the bank to the mobile. Also, with a pan India distribution network of over 140,000 Cashin Points and with more than 16.4 million customers, Vodafone M-Pesa is the largest banking business correspondent in the country. M-Pesa today plays a vital role in enabling financial inclusion and m-commerce. ‘M-Pesa’ effectively leverages the combined strengths of Vodafone’s global expertise in the domain of mobile payments and significant distribution reach in India plus the security of financial transactions provided by ICICI Bank. which is the best Android app for booking flight tickets?